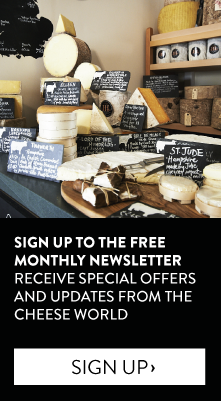 The Courtyard Dairy is a unique, specialist cheese-shop and cheese-maturer, that prides itself on championing and supporting traditional farmhouse cheese. 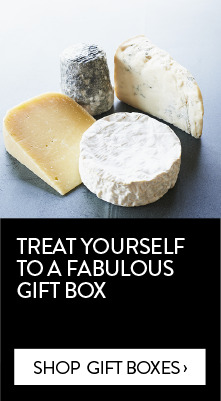 And has been awarded many accolades not least Cheesemonger of The Year (World Cheese Awards 2013) and runner up in BBC Food & Farming Awards (2014) for Best Food Retailer. The Courtyard Dairy has become a renowned destination shop, enabling regulars and visitors alike the opportunity to sample and purchase some of the finest cheese to be found in Europe, whilst benefiting from comprehensive and entertaining cheese knowledge. Andy and Kathy (owners of The Courtyard Dairy) set-up with the ethos to sell only the best cheese available from the British Isles, and by doing so, to champion and support the few remaining independent farmhouse cheese-makers who make real great farmhouse British cheese. These small individual farmers still make the cheese by hand with unpasteurised milk from their own herds, in order to get the best depth of flavour. 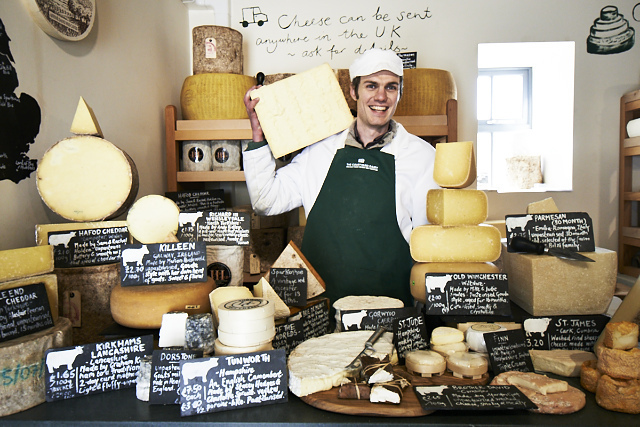 Each cheese is then aged to perfection in The Courtyard Dairy’s maturing cheese room near Settle.